As you might expect from the subtly disturbing artwork, Bulbul are hardly your normal Rock band. All the usual Exile On Mainstream touchstones are present: the Melvins influence, the twisted originality, the bass/drums simplicity, but Bulbul take things a step further. Bulbul 6 has a heavy influence from mainstream pop and electronic music as well, giving it both a superficial catchiness and a more progressive depth. Although tracks like When The Sun Comes Out may remind you of both recent Nine Inch Nails and (gulp!) Pet Shop Boys, it’s far from plain ol’ pop music; the structure is much more complex. Little touches like the backing vocals make for a near-claustrophobic song that only makes sense after a few listens and becomes quite catchy. It’s hard not to make this a list of weird and wonderful moments, actually: Where The Hell Is DJ Fett has inventive use of a saxophone, Shugang is an interlude of spacey electronica that is a great introduction to following track Shenzhou, which is a weird ambient track featuring vocals from the wonderful Carla Bozulich, whose other work has been reviewed on this site. Changzheng has ambient noise and percussion, Fremder Hingepisst has talking and minimalist Jazz, whilst Daddy Was A Girl I Liked is a nightmarish mix of old Nick Cave & The Bad Seeds and Van Morrison, set to a catchy Rock tune. I could go on, but you get the idea. This is a mixture of styles, all played excellently, held together as an album because it’s easy to tell that it’s made by the same people. That foundation bass/drums sound is simple to pick out, yet it’s amazing what Bulbul can do with it. The problem with this kind of difficult, deliberately twisty album is that it’s almost destined to remain underground. 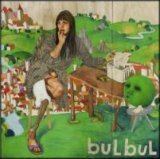 Fans of modern Progressive Rock – and by this I mean Rock that is actually progressive, rather than meaning it sounds like a 70’s ‘Prog’ band – are notoriously picky, and there’s no guarantee that the music on Bulbul 6 will grab you. In truth, this isn’t an album that gets listens to for the good songs, like most are; you listen to it once, and it either draws you in and you love the strange style of the entire album, or it goes completely over your head and you settle for something a little less odd.